We can’t believe Survival to Thrival Book 1 – The Company Journey is now available on Amazon. Writing the book was quite a journey in itself and we truly appreciate those who’ve been with us during every step of the process. 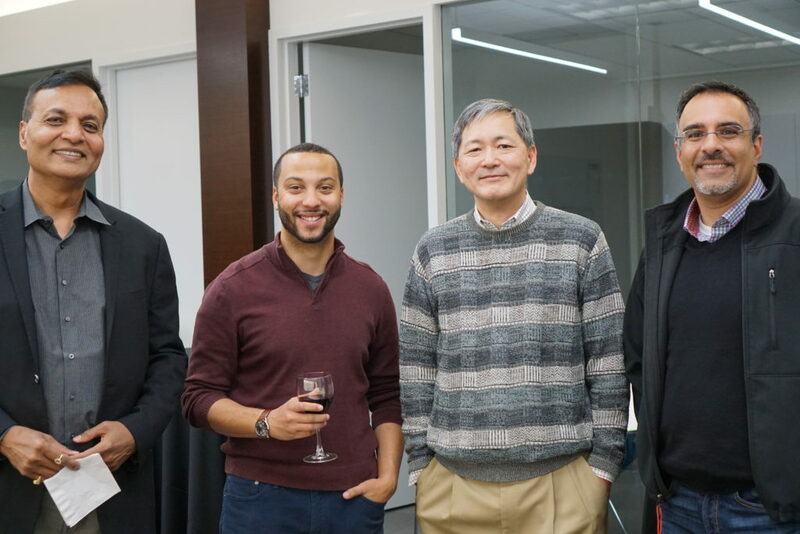 Between anticipating for the arrival of Book 1 and finishing Book 2, we recently had the opportunity to host our contributors, beta-readers, fellow entrepreneurs, and influencers at Storm Ventures. Looking forward to seeing Survival to Thrival be apart of your enterprise startup journey. 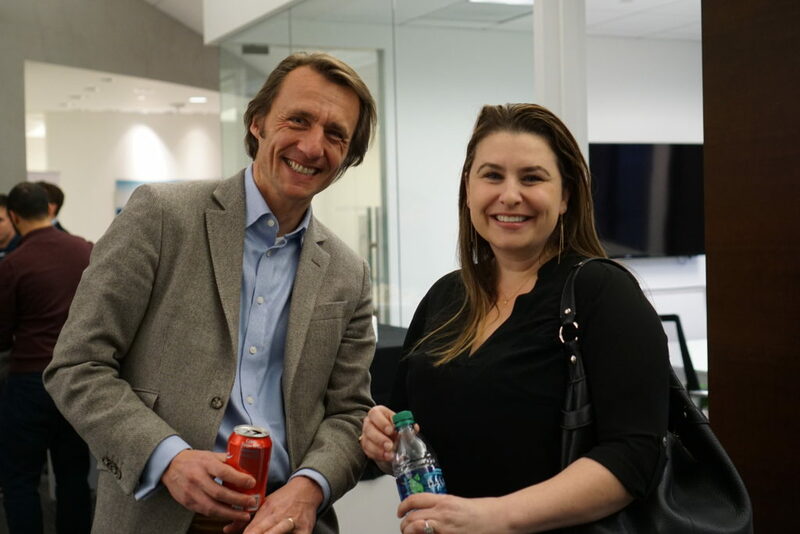 If you spend time in the incubators, accelerators, or coffee shops in innovation centers, you will hear entrepreneurs and investors alike talking about finding Product Market Fit (PMF). Finding PMF is the critical “A Ha!” moment that fills the origin stories of great entrepreneurs handed down from founder to founder. It is the essential and elusive allure of finding PMF that keeps founders up into the wee hours of the morning. Winning those early customers and finding PMF is an essential milestone and profound moment worth celebrating for enterprise startups. Unfortunately, finding PMF is not sufficient to unlock growth for enterprise startups. There is a missing link between finding PMF and unlocking growth, and it is an equally important milestone and “A Ha!” moment. That missing link was previously unknown. We call it Go-To-Market Fit (GTM Fit). After PMF is found, this missing link is the gap between the plan and the reality. Enterprise startups achieve PMF and rapidly invest in sales and marketing with a plan to unlock growth, only to see sales just bump along. New customers and new revenue grow sporadically, painfully disproportionate to the growth projections and rapid increase in sales and marketing expense. Cash burn accelerates. Investors and the leadership team get anxious. Why is this happening? 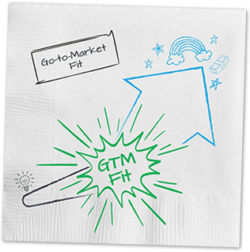 GTM Fit brings three things together: A clear sales model, a repeatable GTM playbook, and urgency. 1) A clear Go-To-Market model: Decide how you will sell your product. 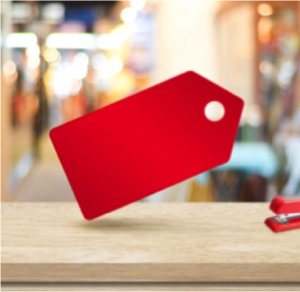 Will it be direct sales, inside sales, channel sales, online, freemium, or something else? Picking a sales model depends on type of product, customer decision-making, price point, gross margin, etc. While it is common for startups experiment with several models, focus on one model is required to ramp. For more detail on this, check out “Leslie’s Compass” by Mark Leslie. 2) A repeatable Go-To-Market Playbook to find and win customers: A repeatable method is the core of GTM Fit. The Go-To-Market Playbook (GTM Playbook) outlines step by step how the company finds, wins, engages, and ramps customers. It is much more than a simple slide deck or a sales tactics. It is a powerful tool that becomes the blueprint for the marketing and selling motion, ramping new sales reps, and aligning the entire company behind what it needs to do to win. 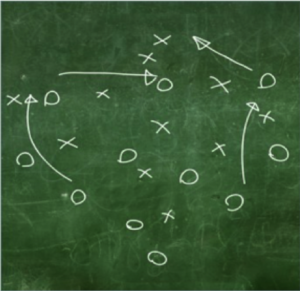 Nailing the GTM Playbook is harder than it sounds. It requires distillation, sacrifice, and lots of iteration. If your GTM Playbook does not fit on a page or two, keep distilling. Where did the inspiration for Go-To-Market Fit come from? Looking back at our personal experiences, our colleague’s experiences, and portfolio companies, we looked for the common threads between enterprise startups that unlocked growth and accelerated vs. those that did not. If they didn’t achieve Product-Market Fit, that was easy, they didn’t grow. The surprise was that there were lots of enterprise startups that achieved Product-Market Fit and their first 10 customers yet failed to unlock growth. Those that did unlock growth were remarkably consistent; they nailed the 3-parts of GTM Fit: 1) Clear sales model, 2) Repeatable playbook to find and win customers, and 3) Urgency. At MobileIron, we went through the search for GTM Fit in 2009 and 2010. 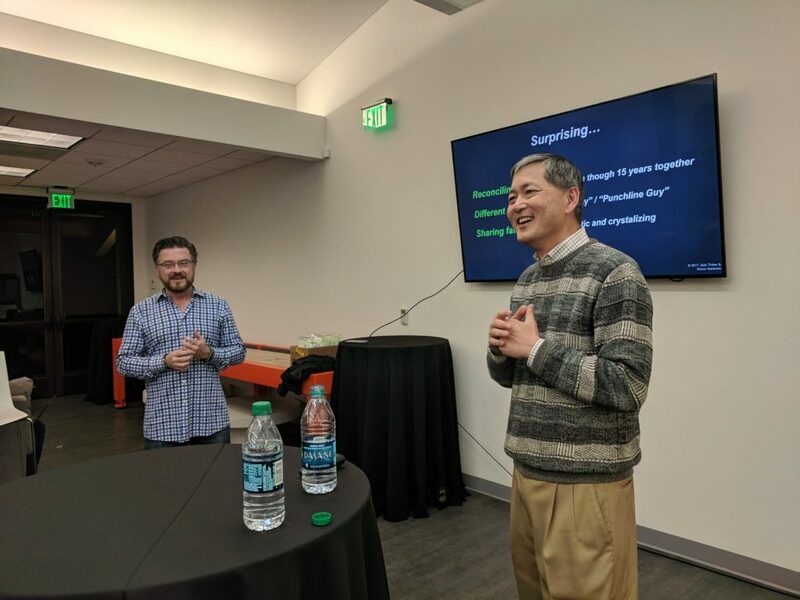 MobileIron is a now-public mobile security company where Bob was founding CEO and Tae Hea was the original seed investor. Picking the sales model: Some of the most stressful discussions in 2009 and 2010 were around “How do we sell?” Direct? Through channels? Via the Web? We did not know which one was best. All we knew was that we had to win our first customers through direct selling. But then what? Was that the right long-term model or not? What would scale? What would be practical? Because of our mid-level price point, we decided to go with the “sell 100% through channels,” but we would do some “direct touch” to help large customers because we were in a new technology market. We had our sales model. Lining up on urgent wave: Over the course of 2009, we pushed our way to 20 paying customers. The reasons customers bought were clustered around several different use cases and problems: some were mobile security, some were mobile management, and some were mobile cost reduction. We engaged on all the fronts to win customers. In early 2010, we finally began to have customers come to us. We started to feel pull. The problem was securing iPhones. In early 2010, everyone wanted an iPhone at work, but IT departments struggled to secure the phones. Users wanted to bring their own devices to work (BYOD). We decided to focus on iPhone security and BYOD. 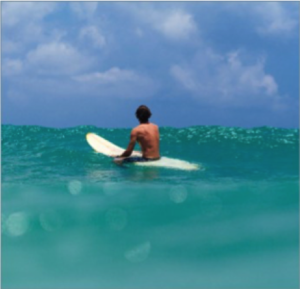 Two meta trends with pain and urgency were building to the leading edge of a mega wave. 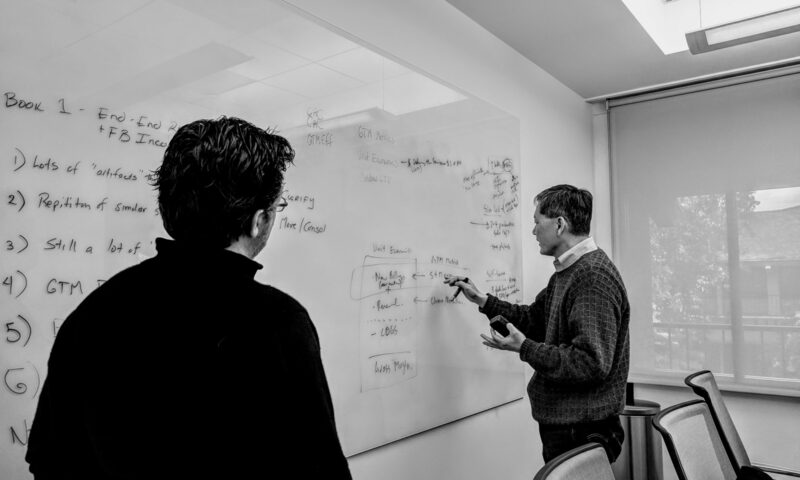 Figuring out the GTM Playbook: The origin of our GTM Playbook was somewhat accidental. Through the mistakes that we made in the early days, we were pretty good at taking notes about what did and did not work. A funny thing started to happen. Everybody else started paying attention to that list. It began to influence our marketing slides. It became a starting point for sales discussions and a teaching tool for new sales people. We did not know it at the time, but this whiteboard was the seed corn of our GTM Playbook. 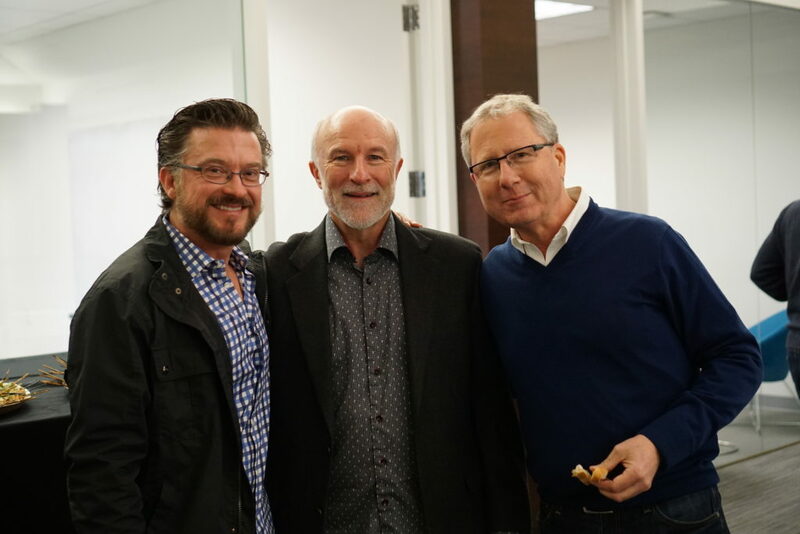 Then, we hired an experienced VP of Sales, John Donnelly, who first taught Bob about the magic of a GTM Playbook. Bob did not get it at first. Our GTM Playbook pulled it all together: How we found customers, and how we engaged with them. What the objective of each engagement was, what the next step was, and what tools we had to make that step successful. Iterating and iterating on the playbook enabled us to find repeatability. Customers started to move from engaged to active, from first meeting through to wins. We hired new sales reps and taught them the playbook. We taught our channels the playbook. The company built tools to support each stage of the playbook. We had found our repeatable GTM Playbook. By spring of 2010, we had GTM Fit. Momentum began to build. We started adding 30, then 80, then over 100 new customers per quarter by early 2011. We had found GTM Fit. Growth unlocked, and we never looked back. Finding GTM Fit is hard. The stakes are high. The search is stressful. Iteration and distillation is painful. 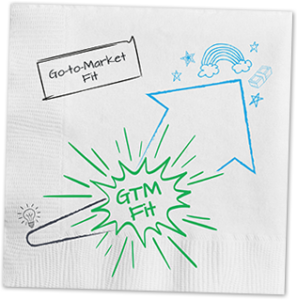 The search for GTM Fit creates cultural and organizational changes as the company evolves. Cash burn goes up. It is nerve wracking. At the same time, seeing a repeatable recipe to win customers is energizing. Customer wins accelerate. The business accelerates. Everyone in the startup realizes that they are not crazy. Hiring grade-A talent becomes easier. Investor interest grows. The startup picks up momentum. You see the path to building a real business. It is fun. GTM Fit is the missing link. Find it and unlock growth for your enterprise startup. Best of luck! This isn’t a hero’s journey. Far from it. 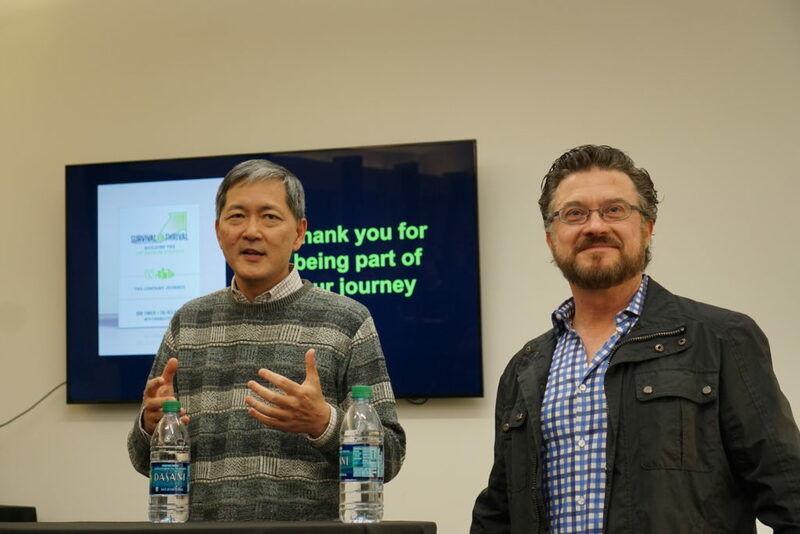 It’s a mind meld of a 15-year entrepreneur-investor team and dozens of enterprise entrepreneurs who all struggled through the journey to build enterprise startups. 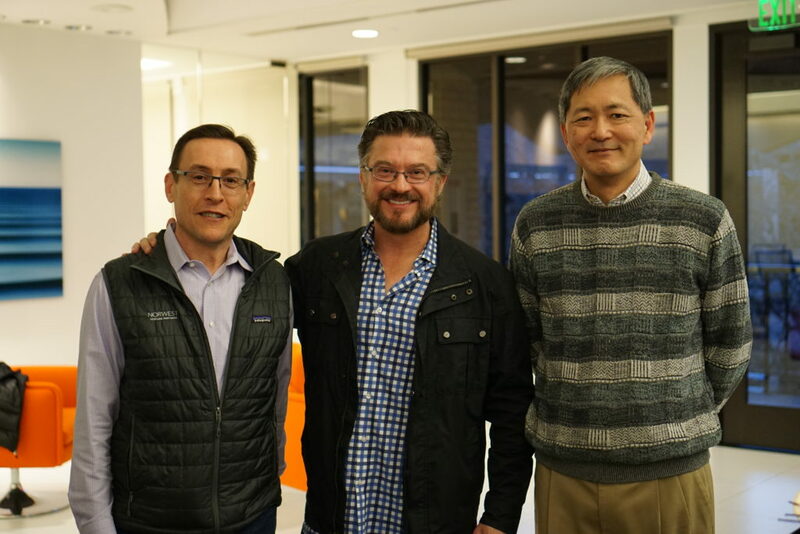 Over 15-years together with help from many others, we built two successful enterprise startups; the first was bought by Cisco for $450 million, and the second went public in 2014. Along the way, we had many successes, many stumbles, and many failures. We wouldn’t have made it half the distance that we did without the many entrepreneurs, investors, and advisors who helped us along the way. While some had a vested financial interest, most did not, offering to help for nothing more than a thanks and good karma. This is our opportunity to pay it forward like those before us. The inspiration behind Survival to Thrival “S2T” was a simple and frequently asked question: if you were talking to yourself 15-years ago as a newly minted enterprise entrepreneur, what do you wish you had known? We began to write it down. The goal was to pull together the pieces of what worked, what didn’t work, what we saw others do, what we wished we had known, and the stuff that just stinks in order to help enterprise entrepreneurs make sense of the chaos and anticipate what’s next. Then, we sat down with other entrepreneurs. They pitched in and shared their stories, their lessons learned, their early near-death experiences, and their exciting but equally traumatic struggles with growth. Many of the stories from the founders and CEOs of Box, Citrix, Engagio, Marketo, RallyTeam, SendGrid, Veritas, and Zuora paralleled our own, others illustrated unique differences. The narratives became a rich tapestry of lessons learned, frustrating moments, and painful changes through the enterprise startup journey. The narratives spanned the stages of the enterprise startup journey – founding, finding product market fit, unlocking growth, acceleration, and beyond. 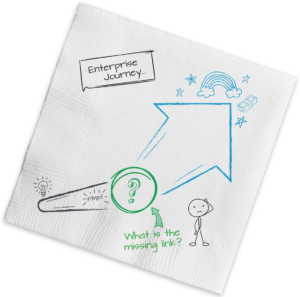 Two problems kept recurring: 1) Why do so many enterprise companies reach Product-Market Fit and get stuck? and 2) Why does moving from stage to stage unleash so much pain for startups and their teams? Those questions became the pillars of the Survival to Thrival series. Writing the books was harder than we both anticipated. Distilling and re-distilling the concepts. Testing and re-testing with the audience (You, the enterprise entrepreneur). It was just like building and releasing a product! Amusingly, one of the hardest parts was reconciling our points of view. 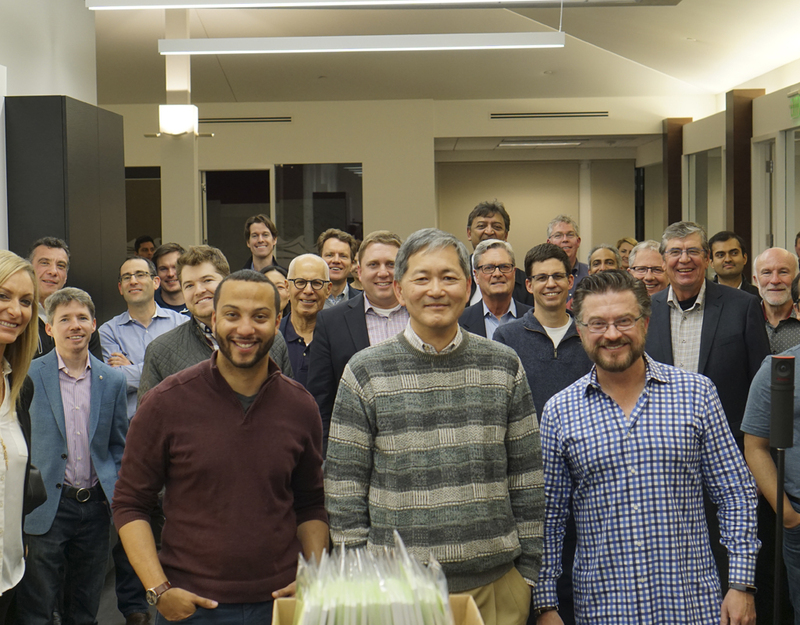 We had worked shoulder to shoulder for 15-years building two enterprise startups: the first from zero to $80M/year and the second from zero to $150M/year. Given we spent 15-years in the trenches together, one would think we would have very similar perspectives and takeaways from the journey. While that was often the case, we were surprised at how often we had different takeaways from the exact same situation. Part of it is our personalities. Bob is a three-time enterprise entrepreneur who loves to build companies. He is a practical midwesterner and “punch-line guy”. Tae Hea (pronounced Tay Hee) is a long-time enterprise venture capitalist who sees patterns and frameworks that apply across companies. He is a “model guy.” Part of it is a very real reflection of the different perspectives from each side of the entrepreneur-investor relationship. The end result is a book for you, the enterprise entrepreneur, the employee, or the investor. If this project helps accelerate your startup, navigate a transition, or simply avoid a pothole, we will consider it worthwhile. We are all in this together. Good luck! Survive well. Thrive well. Pass it on. 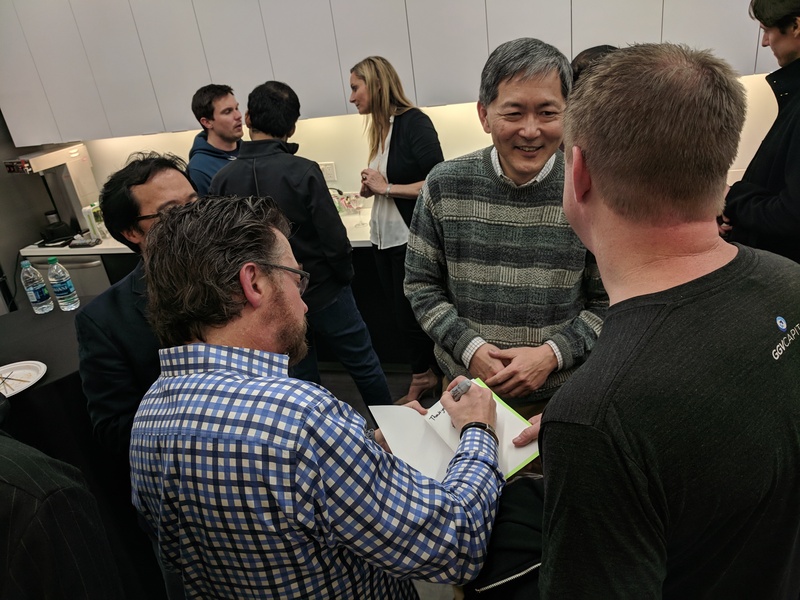 Special thanks to our Book 1 contributors: Aaron Levie (Box CEO), Mark Templeton (Citrix former CEO), Ray Carroll (Engagio VP Sales), Jon Miller (Engagio CEO and Marketo cofounder), Huan Ho (RallyTeam CTO), Sameer Dholakia (SendGrid CEO), Mark Leslie (Veritas former CEO), Tien Tzuo (Zuora CEO). With more to come in Book 2.